The last time I did this hike was in September of 2002 when my good but now departed friend Bal and Wing joined me. 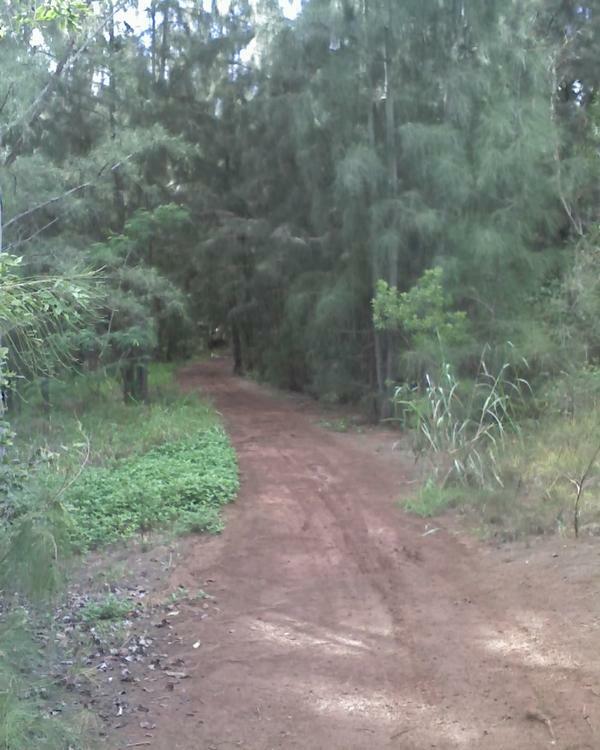 Today I took off w/Fred B. but left him at the Laie trail head as he was going up Malaekahana. I hiked alone for the next hour and 45 minutes until a group of three caught up and passed me. This picture is along the old plantation road. Please excuse the lousy quality of the pictures. My good camera didn't work as the battery was dead and I had to use my cell phone camera. 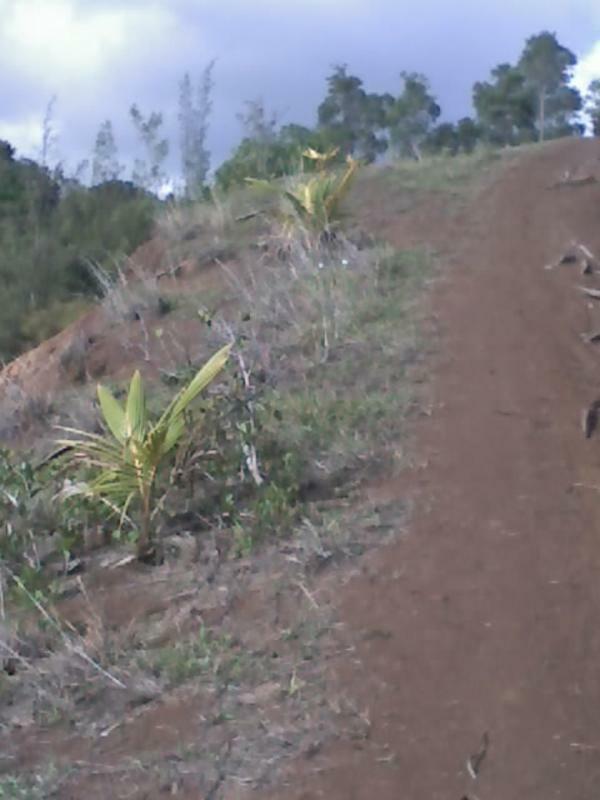 Along the plantation road someone has planted out some Coconut Palms. 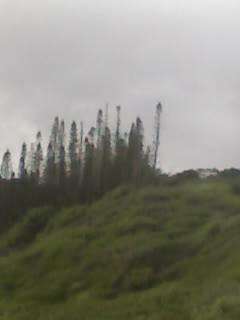 Those pine trees are where the "real" trail begins. Up to that point you are just walking on old roads.